When things go wrong, is your immediate response “it’s all my fault” or “I shouldn't have done that”? For many of us, self-blame and criticism are insidious. We’re unrelenting with our demands and expectations and we’re our own worst critic when things don’t go as planned or we don’t perform perfectly. Our negative beliefs can also result from what wasn’t said or done for us as children. For example, if your parents weren’t attentive to your feelings the unspoken message was that your feelings (and you) don’t matter. We also tend to choose partners in adulthood who repeat this cycle of blame and criticism. We’re unconsciously drawn to people who criticize and blame us because we're used to it – and it validates the negative beliefs we have about ourselves. Maggie and Ted (a narcissist) were married for 12 years. At the beginning of their relationship, Ted doted on Maggie. He was charming and successful – everything her father wasn’t. However, as their wedding approached, Ted’s true personality emerged. He was controlling, had to win every argument by making Maggie feel inadequate and embarrassed, and insisted that things be done his way. Ted could never admit his own mistakes and shortcomings. He blamed Maggie for things she couldn’t control, accused her of things she didn’t do and shamed her into believing that she was the cause of their marital problems, his business failings, and even his insomnia. Narcissists, like Ted, lack boundaries, which means they expect you to be an extension of themselves. They don’t see you as a unique, worthwhile person. Its all about what you can do to build them up, please them, and make them look better to the rest of the world. And because narcissists lack boundaries, self-awareness, and the ability to acknowledge their faults, they love to blame others for their mistakes. So, it’s not surprising that after years of being married to a narcissist, Maggie internalized much of this blame and now, even after being divorced for six months, she criticizes herself for even the tiniest imperfection and she blames herself for everything that goes wrong. As you can see from Maggie’s story, removing yourself from the people who project blame onto you, doesn’t cure you of blaming yourself. 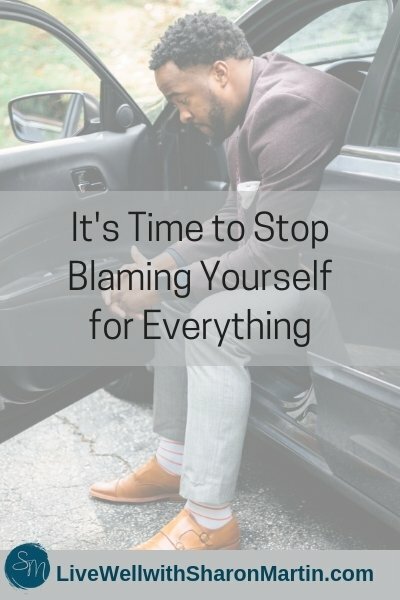 So, how do you break free of this entrenched pattern of self-blame? 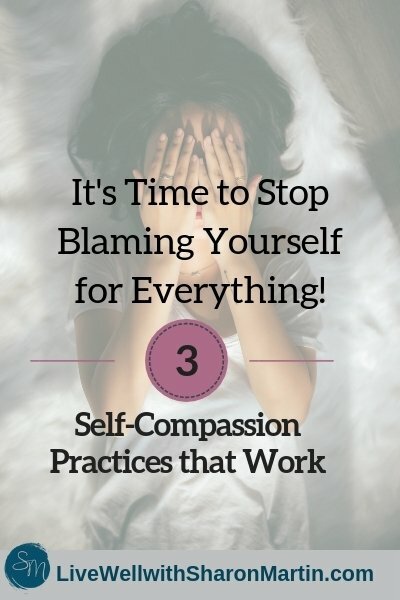 Self-compassion – being kind to yourself -- can help you break the cycle of self-blame. 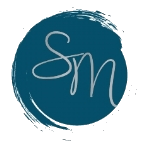 Self-compassion can include affirming your feelings, prioritizing self-care, accepting your mistakes, or giving yourself the benefit of the doubt. 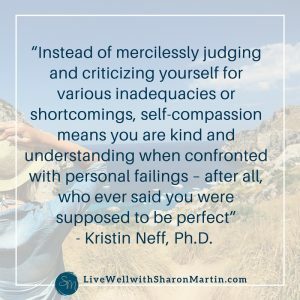 The first element of self-compassion is to acknowledge that you’re struggling (perhaps feeling like a failure, feeling overwhelmed or tired) and recognize that everyone struggles; no one is perfect or has it all together. You can also calm and soothe yourself through loving touch. Physical touch is a powerful therapeutic tool. It releases oxytocin, the love hormone, which promotes feelings of calm, trust, safety, and connectedness and it reduces the stress hormone cortisol that’s released when we’re blamed or criticized by ourselves or others. So, by giving yourself a hug or gentle neck massage, you’re changing your body’s chemistry (increasing oxytocin and decreasing cortisol). It’s a simple yet effective way to comfort yourself.